August 28 was a day of celebration for 450 Ethiopian Jews arriving at Ben-Gurion airport in Tel Aviv, but a day of grievance for many other of their compatriots. The Israeli government has decided to end the migration program that enabled Jews from Ethiopia to become a citizen of the Israeli state after three decades. 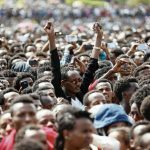 Around 125,000 Ethiopians turned into citizens of David´s land since then – but is the mission really accomplished? Since the Law of Return from 1950, every Jew has the right to come to Israel as an oleh, or immigrant. The history of intense Ethiopian immigration to Israel, however, started in 1984 with “Operation Moses”. Agents of the Israeli Secret Service Mossad could “smuggle” over 8,000 Jews from war-ravaged Ethiopia over the borders to Sudan where they were rescued with boats during the nights. Then, 1991, Ethiopia saw the last coup d´état after 17 years of bloodshed, Israel started “Operation Salomon” and achieved the actual impossible. While Ethiopia was on the brink of the abyss and its citizens plagued by malnutrition, Israel managed to safe over 14,000 of their fellow believers siting and starving in Sudanese refugee camp within 36 hours via airlift – an unprecedented act of rescue. 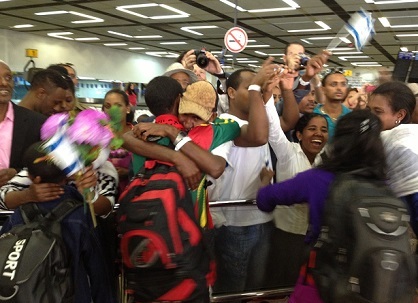 Nowadays, Ethiopian Jews have tremendous difficulties to find their place in Israel´s society. Most immigrants enjoyed little or no education, they often do jobs other Israelis do not want to do; that also means that their average income is about one third lower than that of the average Israeli. Even more tragic: most immigrants cannot give their children the same support in school locals can give, which results in only 22% of Ethiopian students scoring high enough to be able to attend college, in comparison to 50% of all Jewish students. The list could be continued and adds to the feeling of being a “second-class-citizen” in Israel. The income of an Ethiopian Jew is one third lower than of an average Israeli. While problems of immigration and assimilation are blatant, the Law of Return remains unequivocal and enables every Jew in the diaspora the right to become citizen of the Israeli state. Yet, the landings of hundreds of immigrants at once will most likely be a thing of the past. 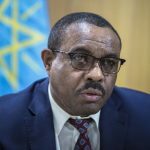 A special committee has been set up to check individual requests, a fact that angers the Ethiopian Jews in Israel since some of their relatives are still waiting for entry to the promised land, some for over 15 years. 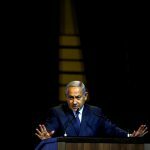 The government´s decision is a thorn in the flesh for all those who desperately wait for their loved-ones to come – and surely does not add to the feeling of being welcome in the Jewish state.